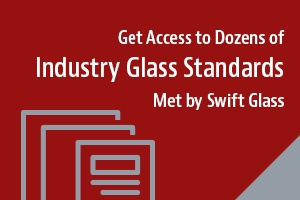 As an industry leader in precision manufactured glass for a range of industries and applications, Swift Glass is proud to supply key parts for lighting, optical, industrial and aerospace applications worldwide. Our unparalleled quality and dedication to excellence is unmistakable in the Glass Prism Rod. Swift Glass’s Prism Rods are crafted from fused silica or borosilicate glass giving it superior optical and thermal properties. The purity of these materials makes them ideal for semiconductor fabrication, laboratory equipment, sight glass and aerospace applications. 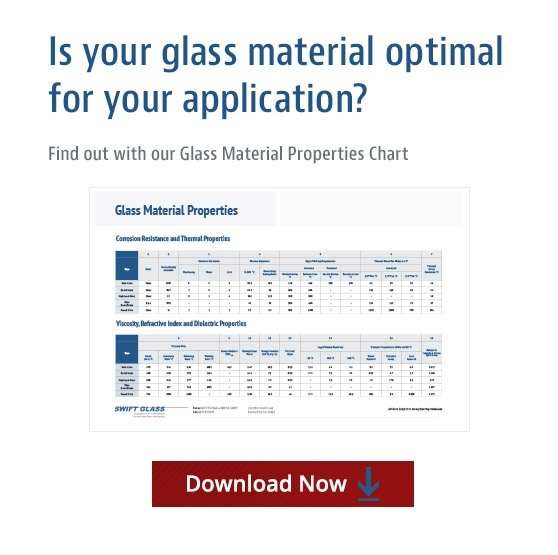 When using fused silica, the 3D structure of the glass delivers exceptional UV-transparency, thermal shock resistance and near-zero thermal expansion. The production of this rod starts from a 65” x 8” slab which is machined in our shop. It is finished with a series of grinds to craft an ideal surface and is then polished to its final shape. Every step of our meticulous grinding and polishing process, as well as the resulting inspection and evaluation, is documented and checked for adherence to all specifications. Certification for the quality of the product, in addition to certification of the material is a part of our quality control inspection. Prism Rods created by Swift Glass are used by companies in the Fluidics Industry for various applications. They are used to monitor and check fluid levels and as an essential component in liquid level indicators. They are also used in sight gauges. The Swift Glass team is ready to consult on your project and help find the perfect fit, be it a Glass Prism Rod or a brand new design. Contact us today. What Affects the Price of my Glass Part?